The sleek lines & bold square shape of this office tote give it a fabulously modern look that is sure to keep you right on trend. Gold-tone hardware give this shoulder bag a splash of timeless glamor, especially the decorative lock and the square cut gold-tone studs on the front panel. Inside the zippered top closure, this fabulous satchel features a just-as-fabulous lined interior with 2 top-open pockets on one wall and 2 zippered pouches and large pocket on the other. One zippered pocket on the exterior of this top handle handbag provides extra storage space that is perfect for small items that you want to keep secure. Take this day bag along for the ride by grabbing ahold of the 2 sturdy top handles, or slipping the chain-and-leatherette shoulder strap over an arm. 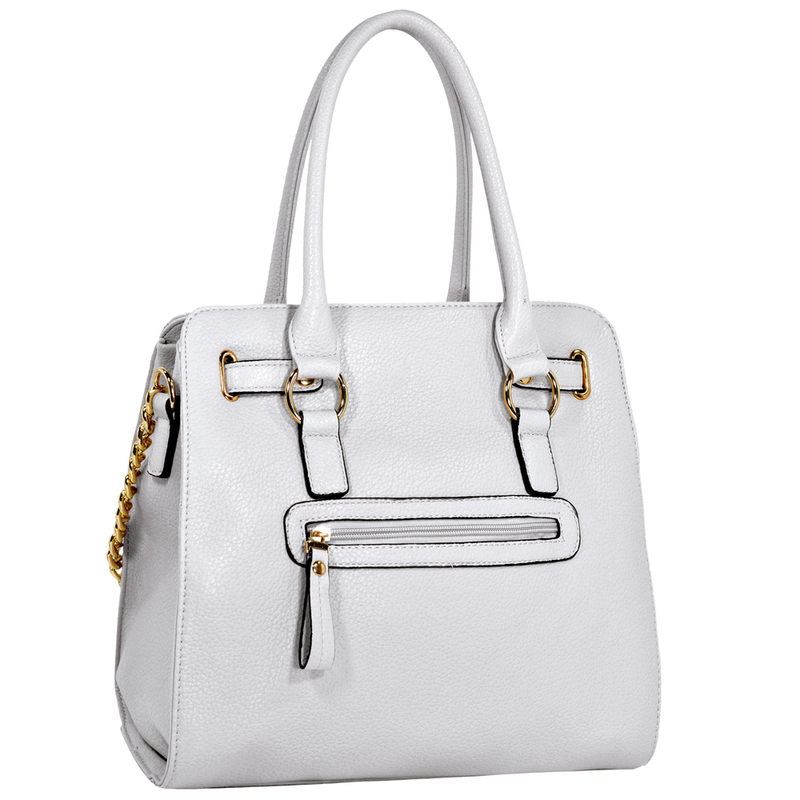 Keep chic, modern style close at hand with this beautiful fashion handbag.